The world of frozen cream has come a long way. 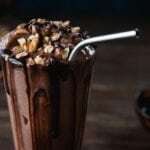 Nowadays we have varieties of weird ice cream flavors different from the old ice cream flavors, with ice cream makers sticking just about anything you can imagine in their concoctions. 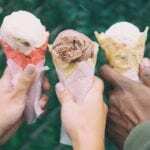 You can try making them at home with your own ice cream maker, but some of these weird ice cream flavors might just be too bizarre for your taste. 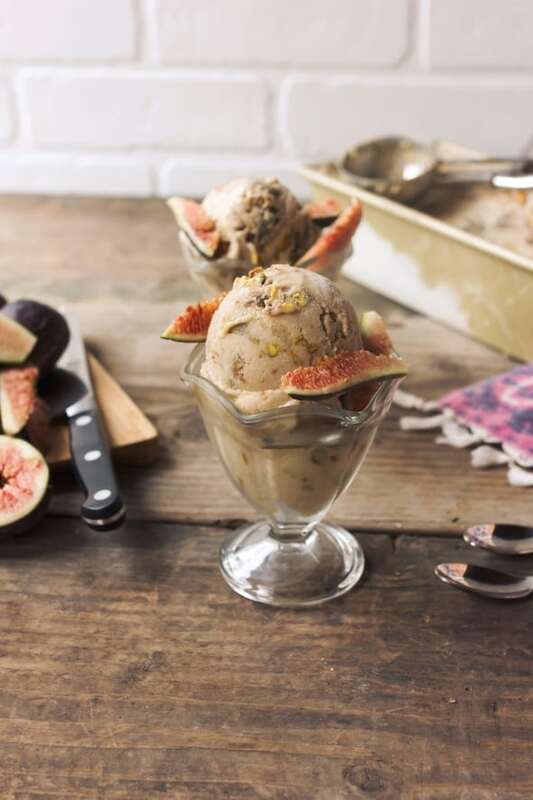 This insane ice cream flavor certainly deserves a spot on the list of weird ice cream flavors, and it is probably going to leave a burning and stinging feeling on your taste buds. You’ll gladly volunteer as tribute to try this Hunger Games-inspired ice cream, made of orange-colored African vanilla ice cream folded with orange juice, mango and a strawberry swirl. 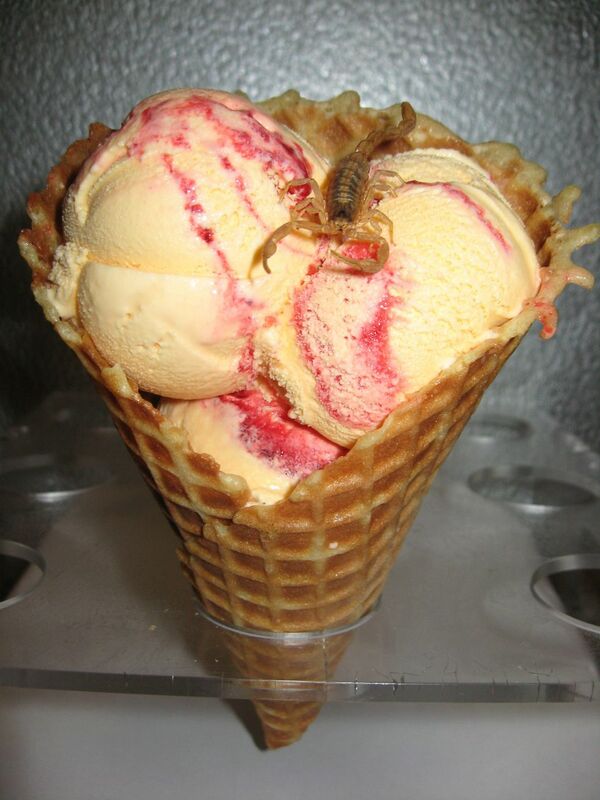 And what makes this ice cream special is the fact that a real scorpion will be placed on top of each cone. Note: This flavor has been relegated to the store’s retired ice cream flavors (i.e., they rarely make them, but you can make a special request so it can be made for you). 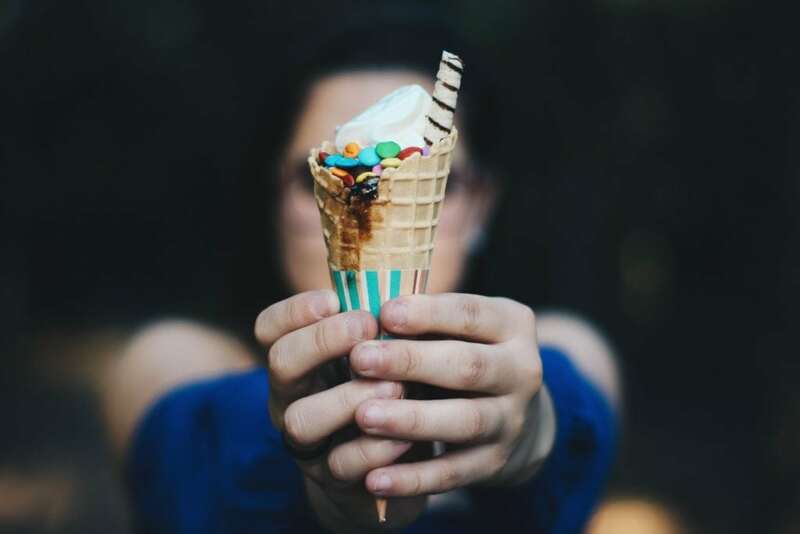 Made by Sweet Spot artisanal ice cream in the Philippines, the creator of this weird ice cream flavor, biographer Bianca Dizon, confirms that the product is highly in demand among customers. 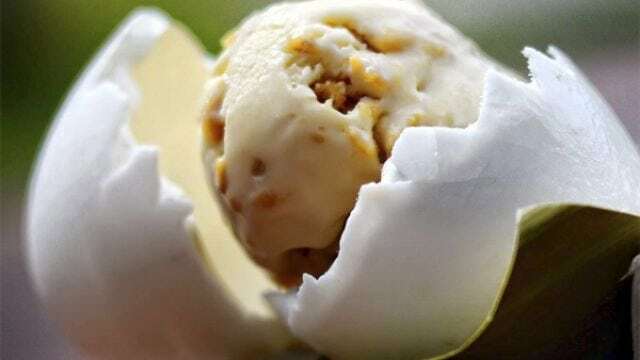 The ice cream is made with crocodile eggs instead of chicken eggs. Bianca explains that they use only those who didn’t hatch and reveals that they are as rich in nutrients as other types of eggs. 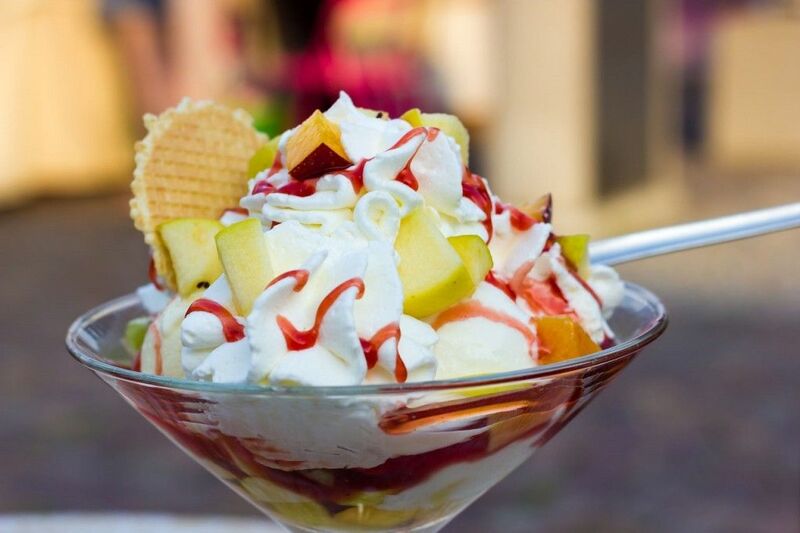 The name of this ice cream may be off-putting, but according to the tourists who have visited and tasted this weird ice cream flavor, the taste of the ice cream is very unusual and has a rich flavor to make your mouth open for this delight. Without a doubt, this sounds like some breakfast delicacy in an exclusive hotel, but it was invented by New York’s Laboratorio del Gelato. And people are loving it! The place has over 200 quirky and weird ice cream flavors created so far and served in gelato form. This is one of those weird ice cream flavors that is certainly not for the faint-hearted. Apparently, the Japanese still do not seem happy with their wasabi, cactus and riceball flavors. This is why they created octopus ice cream. 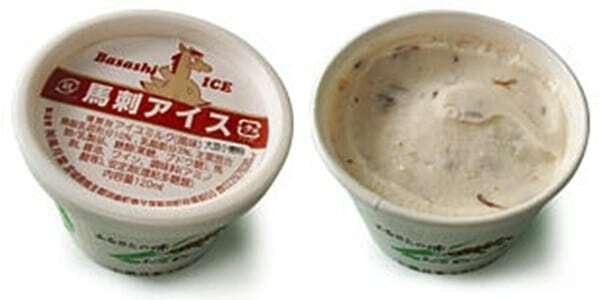 Sold under the name Taco Aisu, it attracts all lovers of ice cream, who say it is healthier. If the sweetness becomes too strong for you, Japan has also introduced squid flavor for the more adventurous. Yippee! You can now eat beer. This ice cream was an inebriated-inspired accident, so you can be sure that this stuff is going to be nice. 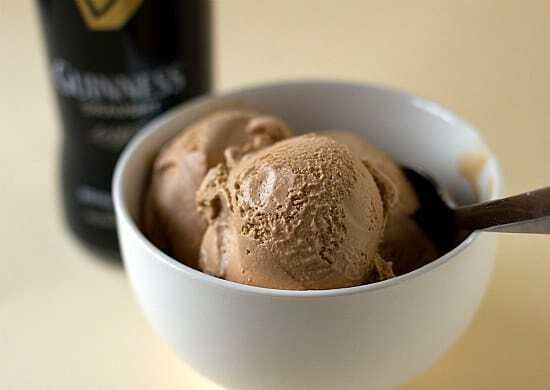 Beer inspires ice cream makers all over the world, it seems, from random beer gardens in Europe to craft beer establishments in the U.S. It also tends to be seasonal. 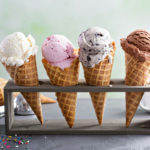 At Sarcletti’s Ice Cream Parlor in Munich, the Bavarian wheat beer ice cream comes out for Oktoberfest in September, while Rustico Restaurant in Alexandria, Virginia, has a following for its summer popsicles—make that “brew pops”—often made from Belgian fruit ales. Flavors include honey IPA and brown ale chip. They say you shouldn’t skip breakfast, especially if it involves ice cream. 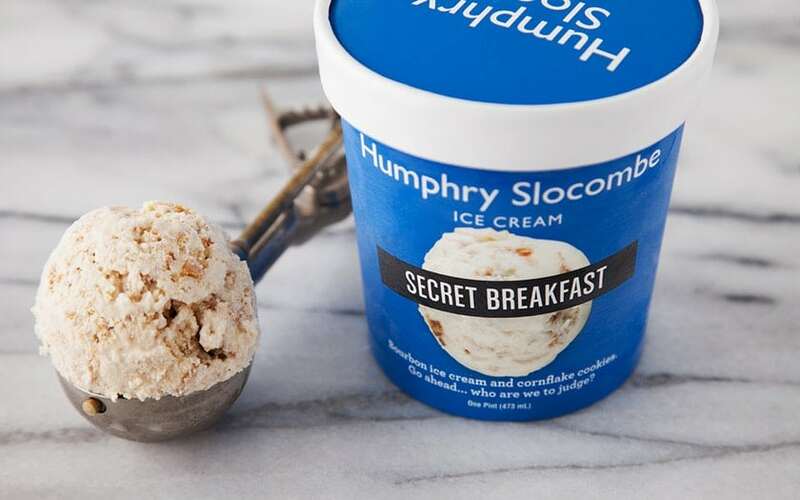 For a breakfast with bite that’s also frozen, head to Humphry Slocombe in San Francisco. This local favorite features Secret Breakfast, an ice cream that’s made with cornflakes and bourbon. 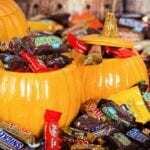 Vegetarians might want to visit Treat Dreams in Michigan. This shop offers Michigan Salad ice cream, a frozen treat featuring candied pecans, tart cherries and (here’s the strange part) bleu cheese. Fortunately, there is no lettuce in this frozen treat. You love bacon. You love ice cream. Combine the two at Beachgoers, an ice cream shop in Delaware. The shop’s bacon ice cream relies on bacon bits for its flavor. While you’re there, sample the shop’s chocolate-covered bacon ice cream. 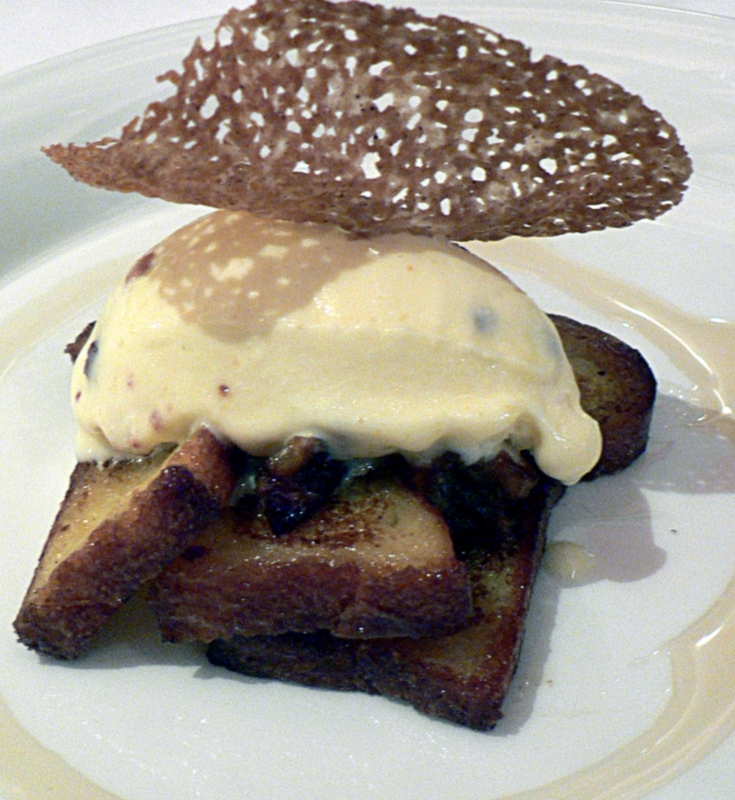 Bacon ice cream (or bacon-and-egg ice cream) is an ice cream generally created by adding bacon to egg custard and freezing the mixture. The concept of bacon ice cream originated in a 1973 sketch on the British comedy series The Two Ronnies as a joke; however, it was eventually created for April Fools’ Day. A British chef, Heston Blumenthal, experimented with the creation of the ice cream, making a custard similar to scrambled eggs and then adding bacon to create one of his signature dishes. When you want to combine dessert and dinner, try a ham-and-cheese cone. 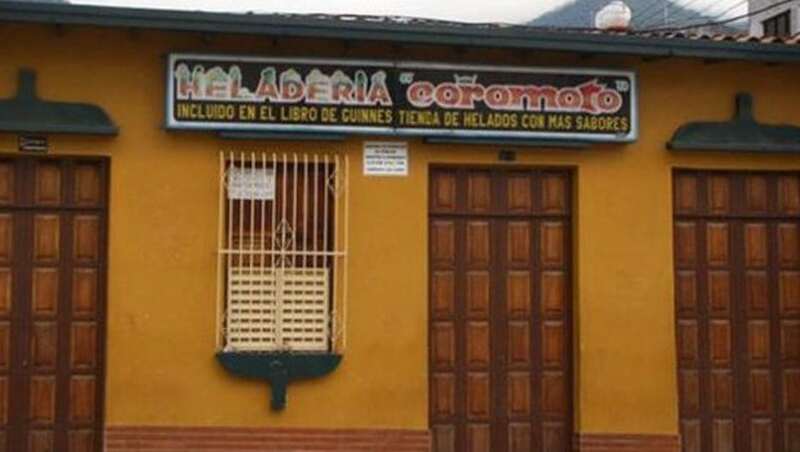 The Venezuelan ice cream shop Heladeria Coromoto offers this flavor. Yes, it includes real chunks of meat and cheese. 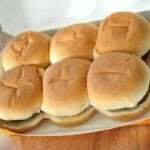 No, it doesn’t come with two pieces of bread. What’s a hot summer day without some raw, frozen horseflesh? Don’t wonder any longer. Order a scoop of basashi vanilla for dinner and dessert all at once. 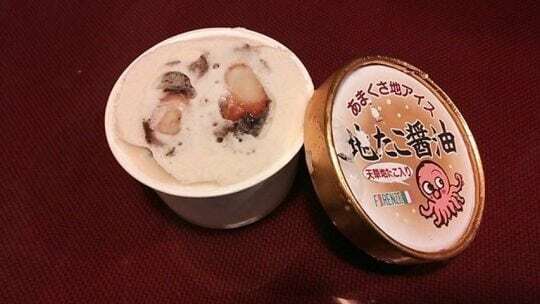 You can find this ice cream flavor at the Sunshine City Mall in Tokyo, according to Travel & Leisure magazine, along with snake and octopus flavors, too. 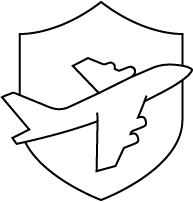 Travel & Leisure describes basashi vanilla as tasting like vanilla—and something very, very chewy. What weird ice cream flavors have you heard of or tried? Let us know in the comments!